Award-winning distiller Glen Scotia is to stage a tour that will enable whisky fans around the world to experience the essence of Campbeltown - Scotland’s smallest Scotch-producing region. The Glen Scotia Grand Tour kicks off in London in March before being rolled out internationally to countries including the US. It aims to transport whisky lovers to the Glen Scotia distillery on the Mull of Kintyre and replicate the experience of visiting the distinctive Campbeltown whisky region. Attendees will be fully immersed in the Campbeltown environment via an interactive pop-up event reproducing the sights of the Glen Scotia distillery and the surronding, seaside town. The 60-minute experience, begins with whisky-based cocktails and canapes, inspired by local producers, in the Victorian themed Distillery Manager’s office. Next guests will experience Glen Scotia’s dunnage warehouse, tasting a variety of expressions from the independent distiller including a whisky exclusive to the Glen Scotia Grand Tour. Each space has been carefully designed for an authentic experience with windows looking out on to the Kintyre Peninsula. The Victorian themed room exudes the classic style of the era, and the furniture and artefacts have been hand-chosen to create a comfortable and inviting atmosphere. In the dunnage warehouse guests will find original whisky barrels from the Glen Scotia Distillery, and will sample drams straight from the cask. During the experience, attendees will betransported to the costal town through virtual projections which will light up the surronding walls. The Glen Scotia distillery, which has a history dating back to 1832, is located in Campbeltown, on the Kintyre Peninsula. In the Victorian age Campbeltown, which is the smallest and one of the most remote of Scotland’s five Scotch whisky producing regions, was known as the ‘whisky capital of the world’ and home to more than 30 distilleries. Today Glen Scotia is one of just three surviving local distilleries. Its award-winning whiskies are known for their distinctive maritime influence and are representative of the traditional Campbeltown character. 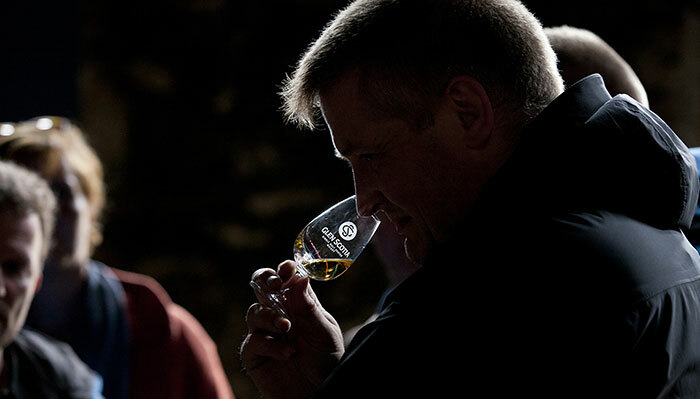 Scott Dickson, Marketing Manager at Loch Lomond Group said; “Glen Scotia had been quietly producing exceptional single malts for more than 150 years and the Grand Tour is part of our ongoing strategy to put this special Campbeltown single malt whisky firmly on the map. As well as learning more about Glen Scotia’s whiskies, history and heritage, those who attend the event will be in with a chance to win a trip to the distillery to experience the region for themselves. The Glen Scotia Grand Tour will take place from Thursday 15 to Saturday 17 March 2018 at the Wine Pantry in Borough Market, London. Sessions last 60 minutes with multiple sessions each day. Attendees must be 18 years old or over. The Glen Scotia Grand Tour follows a resurgence of the brand, which has been owned by Loch Lomond Group since 2014. Glen Scotia’s new ranges are available across a number of global markets and the brand recently launched its travel retail range in the UK comprising Glen Scotia 1832 Campbeltown and Glen Scotia 16 Year Old.